Jens Wieting with speakers at the Secrets of the Six Mountains forest event. Photo by Mark Worthing. Communities along the BC coast are taking a stand to protect treasured local forests at risk of being logged. On March 5, I spoke at ‘The Secrets of the Six Mountains’ – an event in Duncan aimed at sparking dialogue on the future of forests in North Cowichan. More than 500 citizens attended, taking a stand for ecological integrity, community well-being, Indigenous rights and improved forest management. 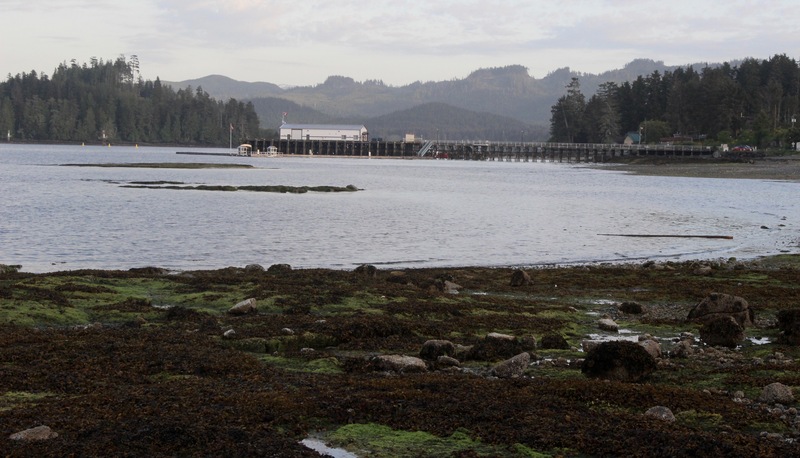 After residents discovered they owned 5,000 hectares of coastal Douglas fir forest and a logging company in 2018, hundreds of community members have come together to advocate for consultation on the future of the area. North Cowichan’s municipal council heard the request for a pause on logging pending further public consultation. On February 15, the council took a step forward in the evolution of a forestry practice plan that could make the area a world class example of community forestry. 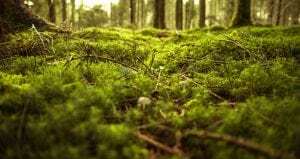 A new Forest Advisory Committee has been formed, and the community has much work to do together to define a vision for its forests. You can learn more on the website of the “Where Do We Stand” initiative. This outpouring has been a reminder of community power and that a better future for BC’s forests is entirely possible. Though not everyone agrees on what should be done, there is sincere commitment to working together and engaging in the difficult conversations needed to find solutions. 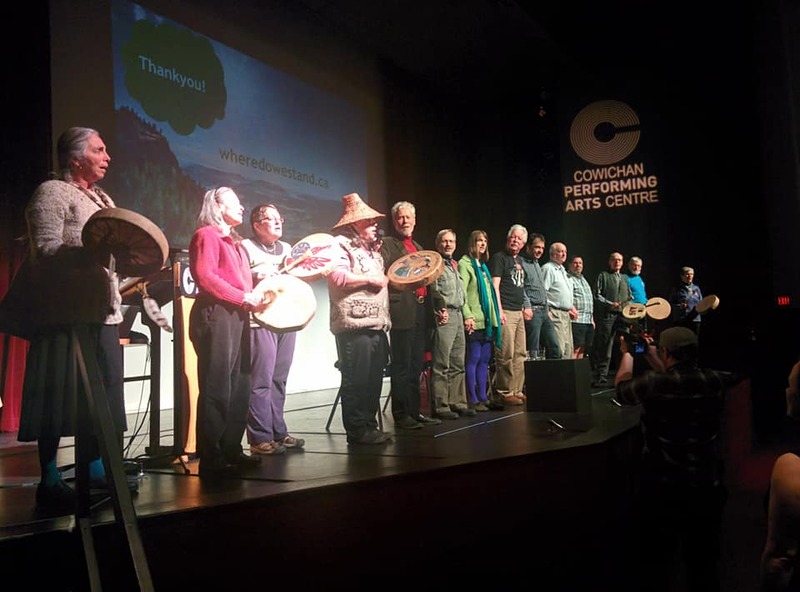 Deep gratitude is owed the countless local organizers, concerned citizens, speakers and others in North Cowichan, inspiring people across the province. Meanwhile, on the Sunshine Coast, some of Canada’s oldest living trees remain under immediate threat. BC Timber Sales (BCTS), the BC government’s own logging agency, is proposing to log a cut block containing stands of ancient trees, one of which has been found to be 1,036 years old. Located in Sḵwx̱wú7mesh (Squamish) territory, an area known as the “Dakota Bowl Bear Sanctuary” contains hundreds of red and yellow cedar trees that could qualify as “Coastal Legacy Trees” and “Monumental Trees” under BCTS’ own guidelines for best management practices, considering their age, size and cultural significance. The forty-six hectare area is known to have a high density of black bear den sites. Measurements in the area in 2014 showed the oldest recorded tree was 1,036 years old and the next oldest was 675 years old. Eleven trees meet the BCTS definition of “Legacy Trees.” Photos of the ancient trees can be found here. Dakota Bowl Bear Sanctuary – Giant Yellow Cedar, One of the Oldest Living Trees in Canada – 1500 years plus. Photo courtesy of Elphinstone Logging Focus. Yellow cedars are known to be some of the oldest living trees in the world because they are disease resistant and tend to grow in sub-alpine zones where they are not subject to forest fires. 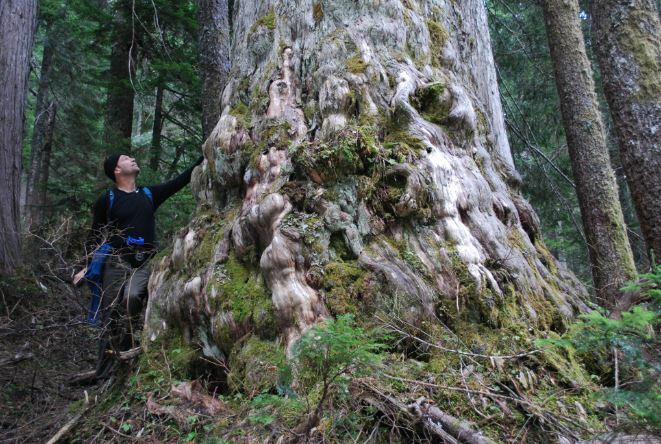 The oldest recorded tree in Canada was a 1,835 year old yellow cedar that grew in the Caren Range on the Sunshine Coast before it was cut in the 1980s. BCTS planned this block before it developed rules to set aside legacy and monumental trees. Since the block has not been sold yet, BCTS should act on its own best practices and guidelines that call for retaining large cedars and work with local First Nations who depend upon large cedar trees as part of their culture. Sierra Club BC and Elphinstone Logging Focus have called for the province to cancel logging plans for Block 87126 and set it aside as an Old Growth Management Area with permanent boundaries to ensure long term protection. BCTS has stated that a number of the ancient trees will not be logged. However, this response is inadequate as it does not provide any detail about how much logging is planned. Ancient trees such as these should be protected as part of the forest, not as standalone trees in clearcuts. Logging these ancient trees would be irresponsible economically, ecologically and morally. In 2019 targeting rare, endangered forests like the targeted stands on the South Coast is akin to the trophy hunting of rare and endangered animal species. It is an unacceptable way for the government to put money in public coffers. These types of forests are exactly what we need to leave standing for climate resiliency and carbon storage. Logging these last stands of ancient forest is nothing less than a climate crime. With the best available science telling us otherwise, to log these rare trees is a complete contradiction of the government’s own commitments and mandate. Solutions are possible. By implementing a science-based conservation and ecosystem-based management approach that respects Indigenous rights and title, the government can support sustainable forestry jobs while conserving intact forests to defend communities from increasing climate impacts like floods and wildfire. Located in Sḵwx̱wú7mesh (Squamish) territory, the area known as the “Dakota Bowl Bear Sanctuary” is part of BCTS Block A87126. The forty-six hectare area in the Dakota Valley, which drains into Howe Sound, contains hundreds of red and yellow cedar trees that could qualify as “Coastal Legacy Trees” and “Monumental Trees” under BCTS’ own guidelines for best management practices, considering their age, size and cultural significance. The area is also known to have a high density of black bear den sites. Yellow cedars are known to be some of the oldest living trees in the world as a result of their disease resistance and their tendency to grow in sub-alpine zones where they are not subject to forest fires. The oldest recorded tree in Canada was a yellow cedar that grew in the Caren Range on the Sunshine Coast before it was felled by loggers in the 1980s. It had a ring count of 1,835 years. In 2014, Elphinstone Logging Focus hired Snowline Research to conduct tree coring of yellow cedars in the Dakota Valley area. The oldest recorded sample was 1,036 years old and the next oldest was 675 years old. Both were found in the same stand. Measurements of the diameters of thirteen trees showed that eleven trees meet the BCTS definition of “Legacy Trees.” The cedars also contain a high density of black bear den sites documented in a 2015 field study conducted by Wayne McCrory. BCTS planned this block before it developed rules to set aside legacy and monumental trees. 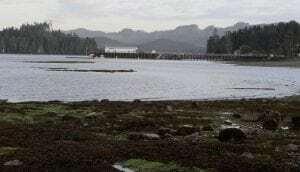 Since the block has not been sold yet, BCTS should act on its 2017 Best Management Practices for Coastal Legacy Trees and Large Cultural Cedar Field Data Collection guidelines that call for retaining large cedars and work with local First Nations who depend upon large cedar trees as part of their culture. Both groups are calling for the province to cancel logging plans for Block 87126 and set it aside as an Old Growth Management Area (OGMA) with permanent boundaries to ensure long term protection. “With solutions readily available and the best available science telling us otherwise, to log these rare ancient trees is a complete contradiction of the government’s own commitments and mandate,” said Worthing. Solutions are possible. By implementing a science-based conservation and ecosystem-based management approach that respects Indigenous rights and title, the provincial government can support sustainable forestry jobs while conserving intact forests to defend B.C. communities from increasing climate impacts like floods and wildfire.